Why the Sphinx Pose and/or the Seal Pose, done in the Yin fashion, may be the best thing for your lower back! Even if you don't have issues with your back, you may find these to be some of the most therapeutic poses ever. Yoga is the practice of calming the mind. When you do a pose, your mind has something to focus on, instead of it's incessant chatter. Focusing on your body, and it's position helps achieve the inner stillness necessary to calm the mind. This is the key to practicing a wonderful pose. 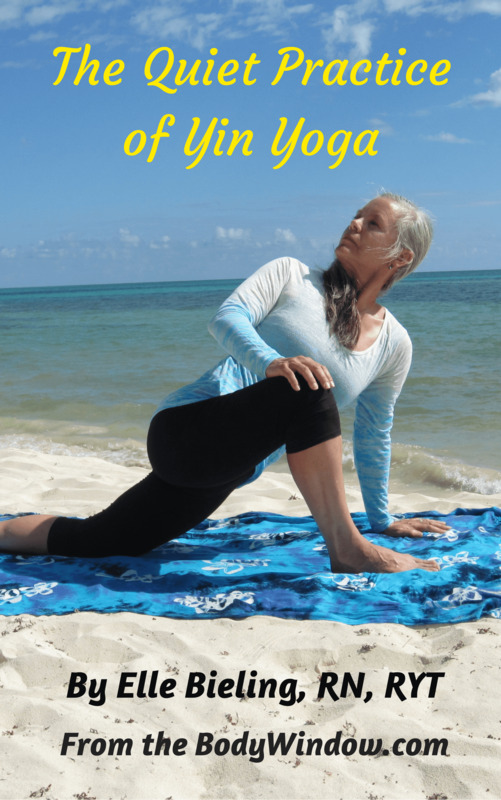 Yin Yoga is a meditative practice, using long-held yoga poses. However, this practice is not the same as that of practicing traditional Yang Yoga poses. It is an entirely different method of performing the yoga poses. The Yin poses are even given different names, to stress this difference. If you are confused, please go to my article, Yin Yoga to understand how this practice differs. The Sphinx Pose, is named the same as in the Yang Yoga tradition. However, it is not performed the same. As in all Yin Yoga poses, releasing the muscular action of the pose for all the muscles (except those needed to hold your upper body up through your arms) is essential. This is necessary to work into the deeper tissues of the fascia, tendons, joints and ligaments. To begin this therapeutic pose, lie down on your stomach on your carpet or mat. Bring your elbows in close by your chest. Prop yourself up on your forearms. Make sure your elbows aren't too far back or your shoulders will eventually feel very heavy. You may chose to keep your forearms straight and parallel to one another, with your palms down on the ground, for support OR place your hands in the prayer position (Anjali mudra) as shown below in the photograph. Or you can even cross over your forearms to make a square. Whatever feels best for you, so that you can hold this pose for 3-5 minutes. Focus your energy on allowing your hips to become heavier and heavier as they sink into the ground. Release all tension in your hips and buttocks. Notice what happens to your lower back as you sink deeper into this pose! This yoga pose is a miracle healer for the lower back! Remember to do your inner breath work with this pose. I suggest any pranayama that will bring you deeper into your body as you send your breath to your lower back. Belly breathing is especially therapeutic or any evenness of the breath. Learn how to make your breath smooth and even, while you understand the importance of the breath, by reading my article on Conscious Breathing! I especially love this pose, because I can even do it in bed in the morning, to wake up my body and my lower back. I do the Child's Pose first for a few minutes, then I do the Sphinx Pose. I then add the Lying Spinal Twist, done on each side, and my spinal warm-up is done for the day. This is a lovely way to bring fluidity and mobility into my spine, first thing in the morning, before my feet even hit the floor! 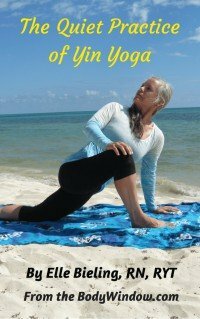 Let's face it, we get more and more contracted in our joints as we age, especially in our spine, so a regular Yin Yoga practice can do miracles in turning back the clock. If your body and back feel safe and comfortable in the Sphinx Pose, and you want to take it deeper, you can increase the back bend into the Seal Pose. Place your palms on the ground, in line with your elbows. Then with a firm pressure through wide-spread fingers, push up on your hands to straighten your arms. This is not the Cobra Pose in the traditional Yang Yoga practice! Notice how far your hands are away from the body. Notice that you are doing minimal effort to bend your back. Your arms are only supporting your upper body, to keep it in this pose, as your hips sink into the ground and your buttocks release. If this pose is held in a controlled, and conscious breathing way, you will feel an intense opening in your lower back. Especially after a minute or two goes by! Hold this for up to 5 minutes, if your back feels safe. If you begin to feel more than a mild to moderate edge of pain, then return to the Sphinx Pose to complete your 5 minutes of holding the pose. The reason the Sphinx Pose and the Seal Pose are so therapeutic, is that it provides self-acupressure on your Kidney meridian as it passes through the sacrolumbar area. In Chinese medicine, it is believed that the Kidney meridian, a yin organ, when paired with it's yang partner, the Urinary bladder, are responsible for storing all your vital energy. The Kidney is the "general" of the army of the body, and if the Kidney and Urinary Bladder pair are deficient in energy, it will affect all the other organs of the body. It is the kidneys that are stressed when your energy is low, yet you keep on pushing and pushing beyond your body's limits. The Kidney and the Urinary Bladder meridians are also responsible for the modulation of the emotion of fear. When your kidney chi is off, it is expressed through this emotion. The good news is that by doing the Sphinx and/or the Seal Pose, you will be able to correct this deficiency! Learning these poses through the practice of Yin Yoga, or long-held, contemplative poses, allows you to fully delve into yourself and discover what is being held by your body. We manifest our emotions in our body and through spending the time in meditative, and contemplative poses, it allows for insight and self-discovery. By releasing the need to "perform" a perfect pose, like what is done in a regular, Western-style yoga, you learn to observe your body where it actually lands! You can, without judgement, be present to your body, allowing for the opening of new perspectives of your mind. When this happens, emotions and preconceived notions of who you are, can be released. I encourage you to invite your body into your soul's experience and encourage more spiritual opening when you do your Yin Yoga poses. May you always find yourself through your own Body Window messages as you practice Yin Yoga. May you contemplative for yourself where and why you are stuck when you do the Sphinx Pose and the Seal Pose!